Overview Simplenews publishes and sends newsletters to lists of subscribers. Both anonymous and authenticated users can opt-in to different mailing lists. HTML email can be sent by adding Mime Mail module for D7 and Swiftmailer for D8. 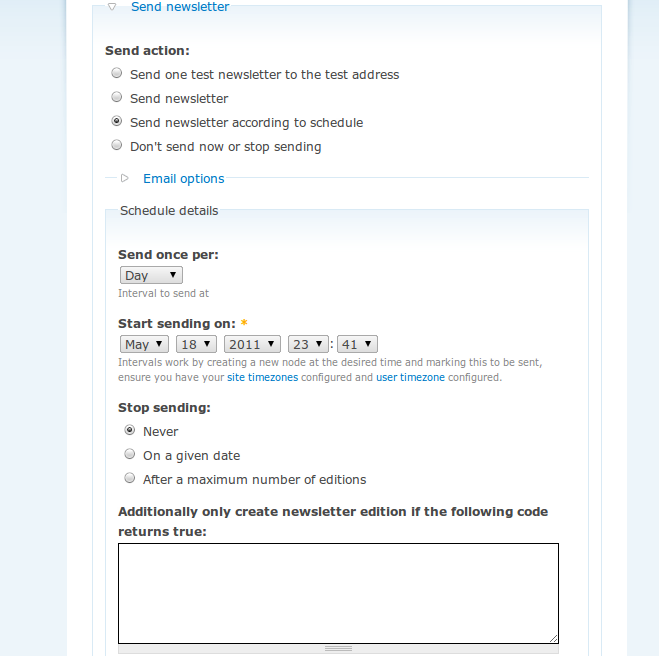 Features Sending nodes as newsletters to subscribers Multiple newsletter categories with separate settings Per... You can also use the Drupal email subscription module to store and obtain details easily and send category wise newsletters to the users. BestPlugins provides a list of the best newsletter Drupal modules which can help you establish better client interaction ith your Drupal website. Name Description; simplenews_block: Implementation of hook_block(). simplenews_block_form: Newsletter (un)subscription form for authenticated and anonymous users. simplenews_block... Adding an entity collection to send to dialogflow in Drupal Each collection comprises an entity-type and bundle as well as a push handler and a query handler. By default Chatbot API Entities comes with a query handler for each entity-type and a specific one for Users to exclude blocked users. 18/04/2014�� Simplenews settings and configuration This feature is not available right now. Please try again later. By default, simplenews will send the whole node content in the body of the newsletter e-mail, not the teaser. Ideally, the newsletter e-mail will contain the teaser or trimmed version of the full content with the link to read it online to our website. Unfortunately, there is no built-in option which enable the simplenews to provide the link to the full content in our website. This blog will demonstrate how to send out HTML emails programmatically in Drupal 8. 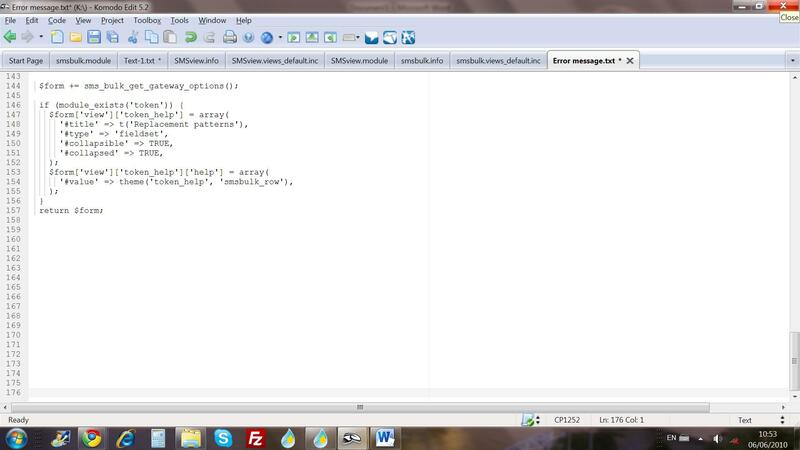 Header : All emails are preceded by header that identify routing information of that message. The action I added was again "Execute custom PHP code," and I used the following to tell Simplenews to re-send a particular newsletter (I could've created a new newsletter node, then had Simplenews send that, but it's easier for my purposes to simply tell Simplenews to re-send the original newsletter.